When children are young, there is a lot of talk about their motor skills. How are they developing? What can parents do to assist them? Are children developing their skills at the same pace as their peers? Motor skill development is crucial, as these skills are part of everything we do! Our ability to pick up a mug, turn a page, or use a fork depends on fine motor skills. 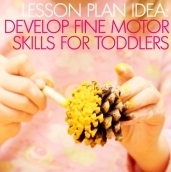 Motor skills help children to move and accomplish motion-based tasks. Gross motor skills are big movements like running or dancing, while fine motor skills usually just include movements to the hands and fingers. Before entering preschool, children should be proficient in all of these tasks. But what if your child is almost four and you notice she still can’t carry her toys without employing her whole arms? This doesn’t mean that anything is wrong with her; she just needs a bit more practice. Children learn much of their motor skills from play with peers, but adults can contribute to that learning by showing young children how to do simple tasks. Take, for example, the child mentioned above. She would be struggling with the “carry” skill, which means she needs to be shown how use her fingers and palms to lift and move objects. Simple toys that involve placing things into holes are good tools for teaching this skill. The parent or teacher can show the child how to do it by slowly wrapping their fingers around the ball/block, gripping it tightly, and then placing it into the receptacle, be that a basket, cup, or cut-out hole. Children struggling with fine motor movement need to see the mechanics at work, so make sure to emphasize how the fingers curve around the object. 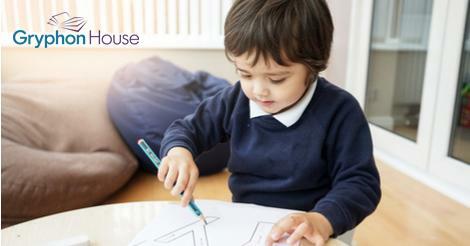 Because motor skills are so foundational, it is important children are not behind on them when they enter preschool. 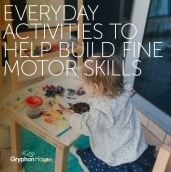 Below are a few more activities to build your child’s fine motor skills.